Should Your Promo Sticker Design Scream... or Whisper? Should Your Promo Sticker Design Scream… or Whisper? There are unlimited options when it comes to designing a promotional sticker for a company or cause. How big should it be? What should it say or display? What style is best… and how colorful should it be? And, should the sticker scream or whisper? The answers to these questions all come back to who you want to display your sticker and where. It’s all about your identity, your market, and your Badgers (people proudly willing to promote your message with a sticker). For the car dealer it makes sense to tag all their autos with a sticker or decal that blends with the look of the car – that is subtle and keeps their logo driving around for years to come with out altering the overall look of the car. Whether the car buyer is a not a “sticker person” or not doesn’t really matter. A country club, Ferrari owners, high end retail clothing shop, etc. may also want to be very subtle and whisper their message in a way that fits their target market’s desires. The heavy metal band or extreme sports company may want their stickers to scream… because their fans want to scream their allegiance and relationship with the organization. A company owned van, truck or car might as well scream a promotional message – it’s an opportunity to have a traveling billboard out advertising and building identity. Do you want your best customers to scream about how great you are? Or, would you prefer they subtly whisper the good word along. Which better fits the identity that you wish to build and nurture? 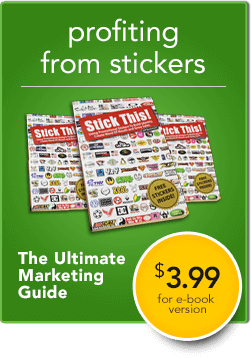 Here are some further preliminary questions that will help you focus in on the right sticker design for you… or, perhaps, whether a promotional sticker is right for you at all. 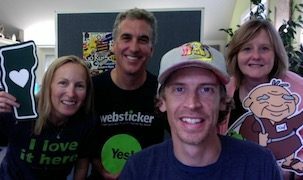 What are the goals for your sticker campaign – building identity, advertising a specific event or product, pointing people to a web site…? Where do you ideally see the stickers being applied – to a car, to a helmet, to a computer, to equipment…? How will you be distributing the stickers – in the mail, hand out at trade shows or special events, co-op with another company, sold as a product…? 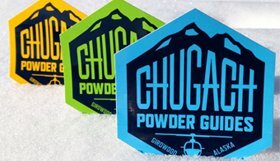 What are other people in your industry using for promo stickers? What isn’t being done that may be effective? What stickers do you see out on the highway – why are they there – why do they work (or not work)? How can you do something powerful and unique while still effectively tying in with your other marketing efforts and connecting with prospects and fans alike?